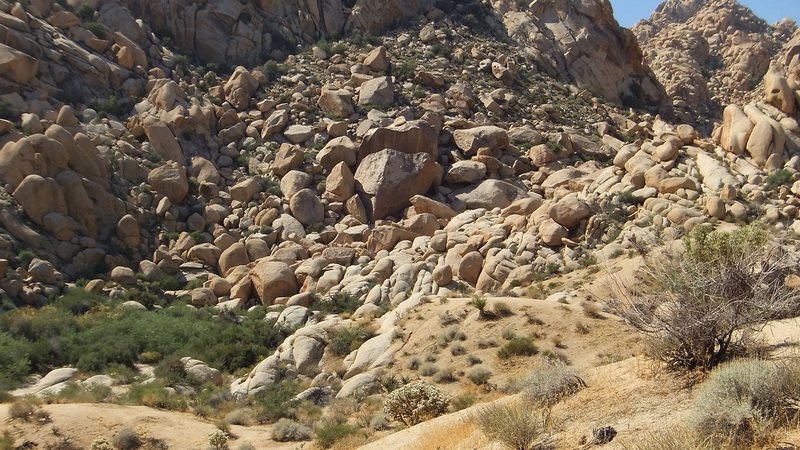 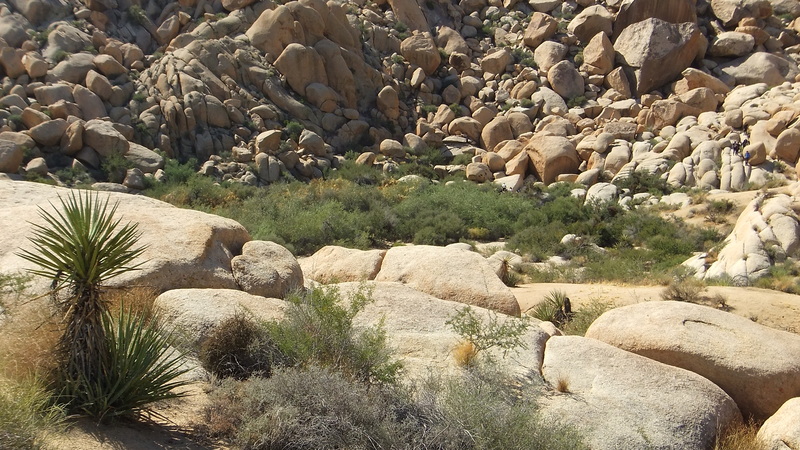 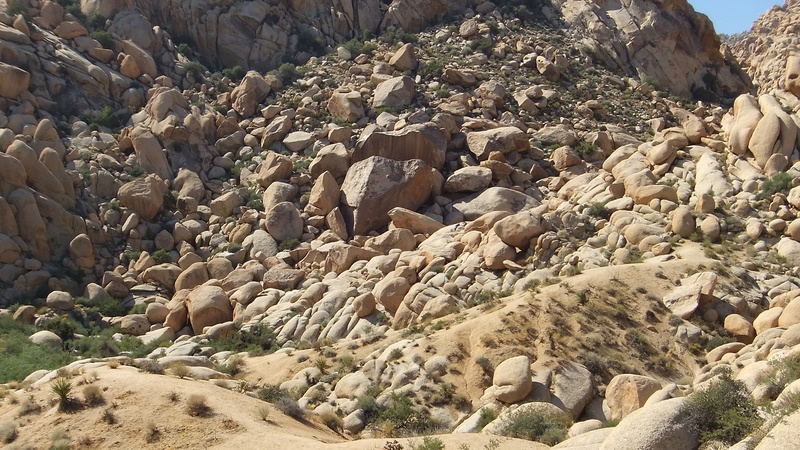 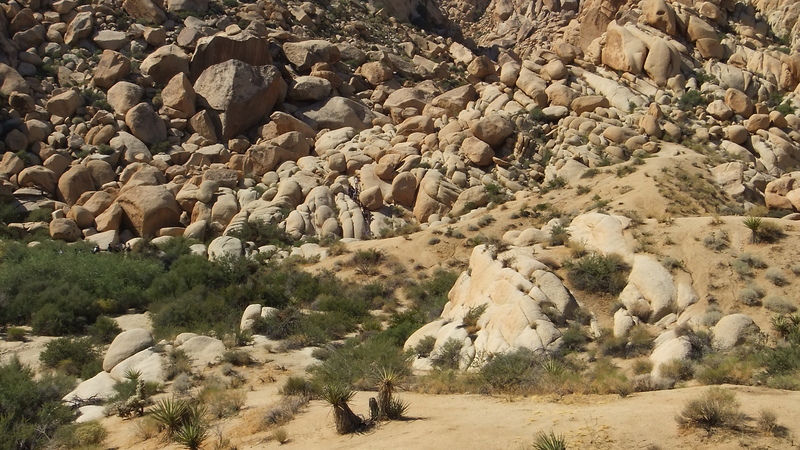 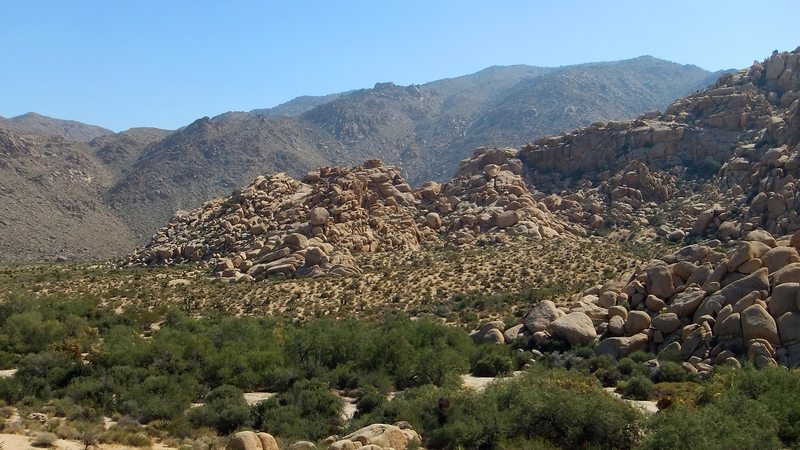 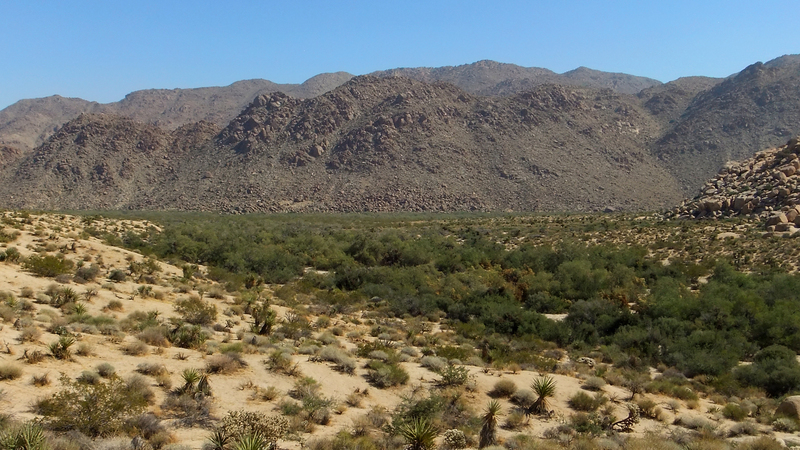 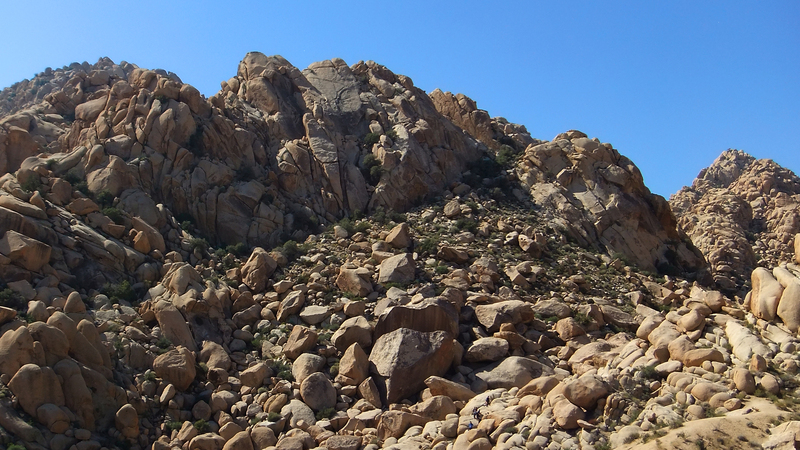 THE BOULDER-STREWN JOHNSON CANYON is approached from a short trail off of Campsite #14 (at N00b Rock). 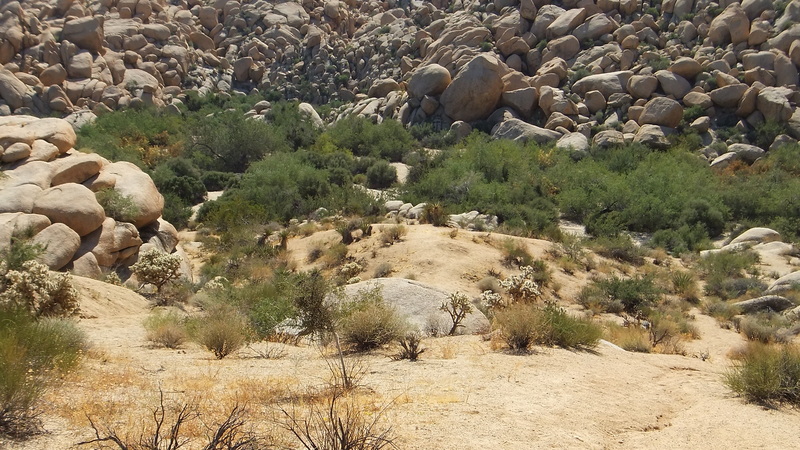 The closest public parking area can be found at Campsite 11 near the bases of Short Wall and Feudal Wall. 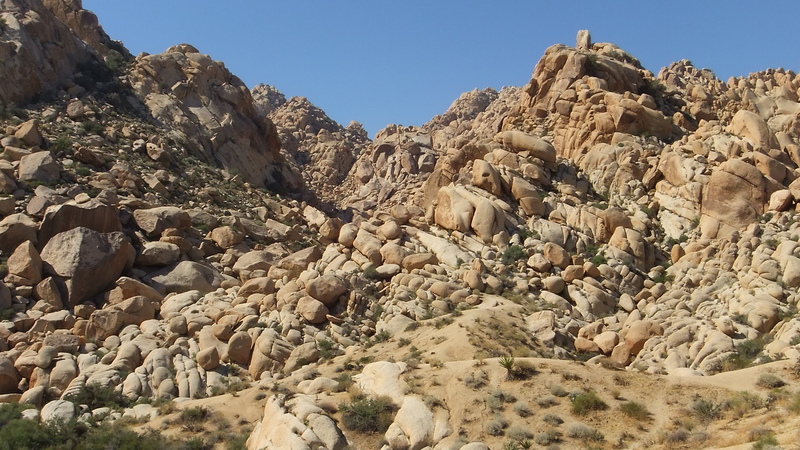 There is a large brush-filled wash leading away from the canyon drainage out across the plain where it merges with Rattlesnake Canyon wash.
Further back up the canyon are Cove Canyon Dome (Johnson Canyon’s former name was Cove Canyon). 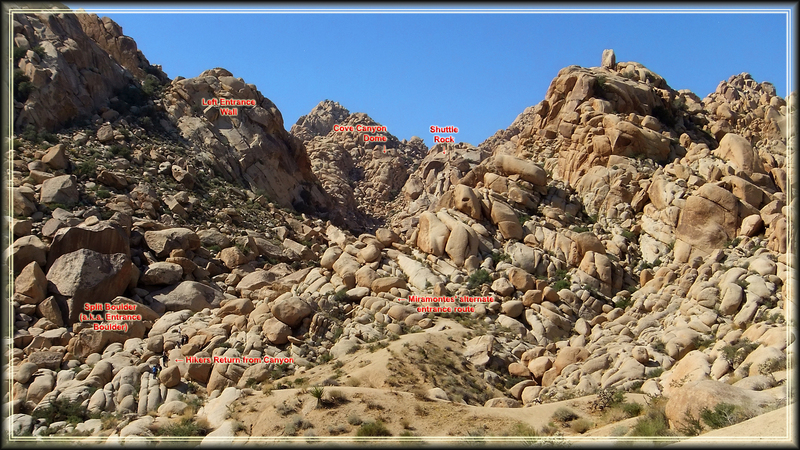 Also in this area is Left Entrance Wall and the Ancient Kingdom. 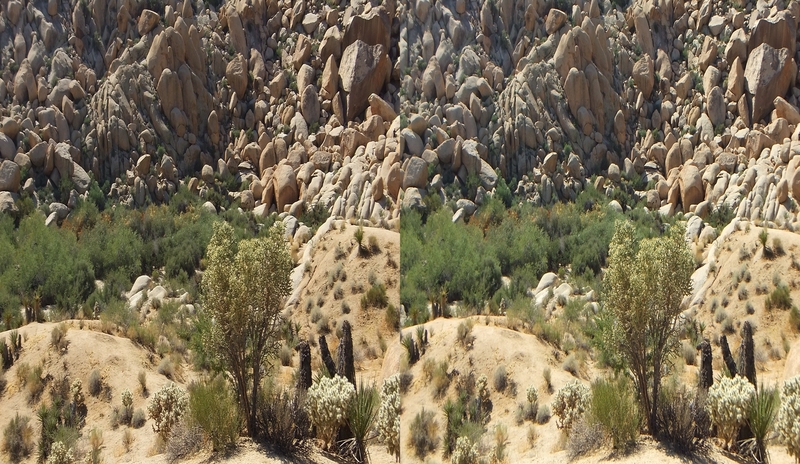 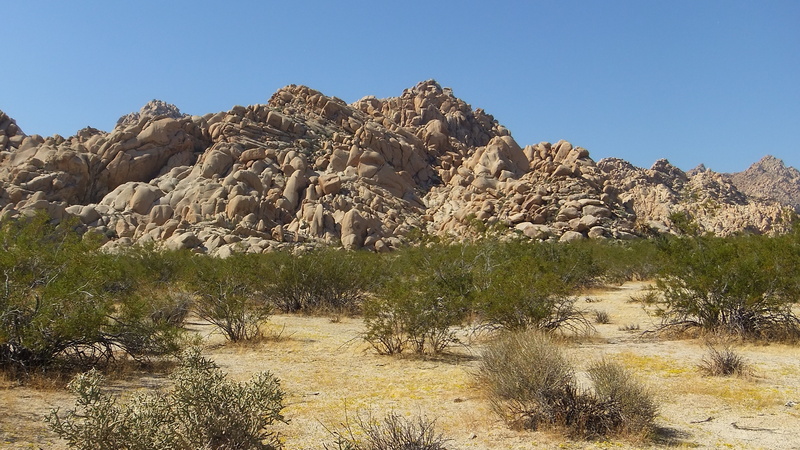 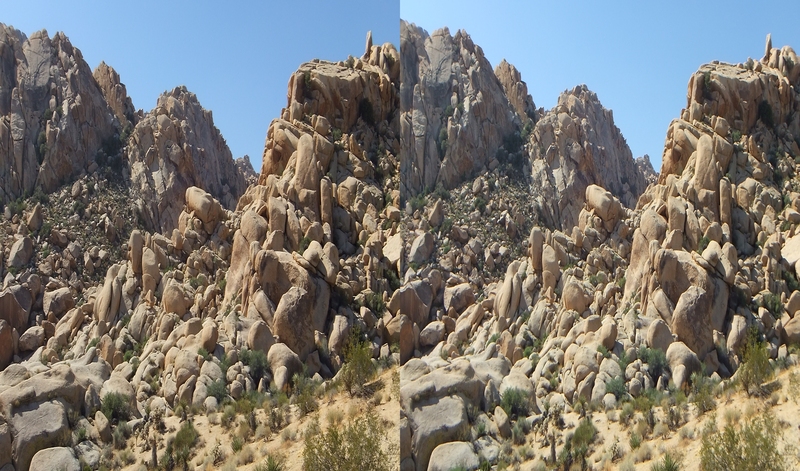 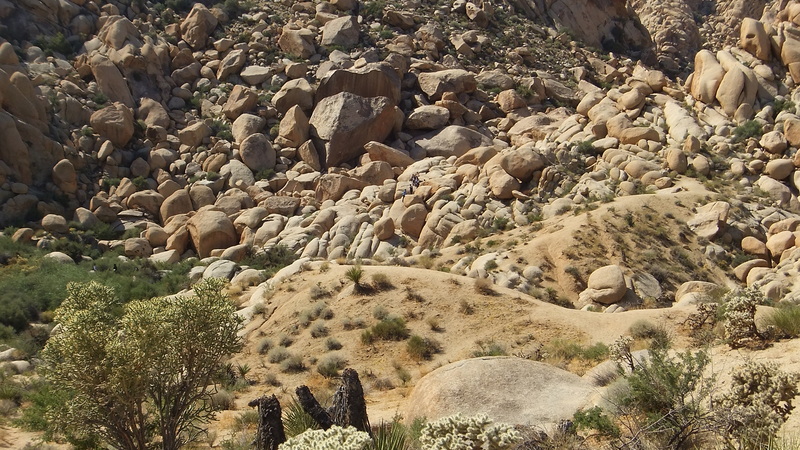 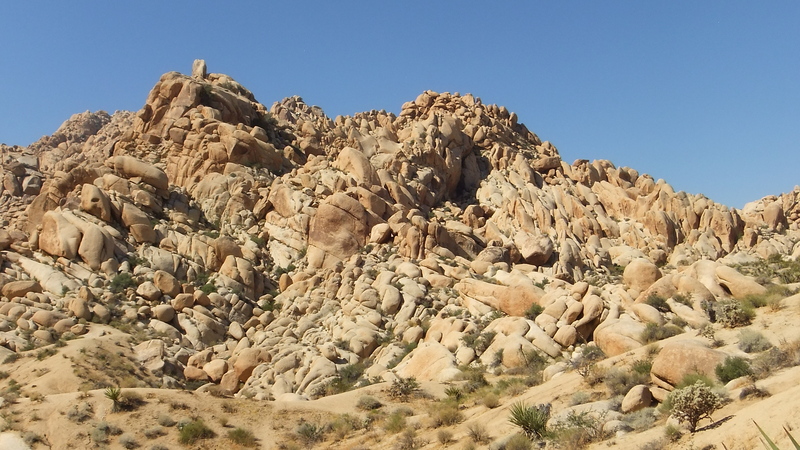 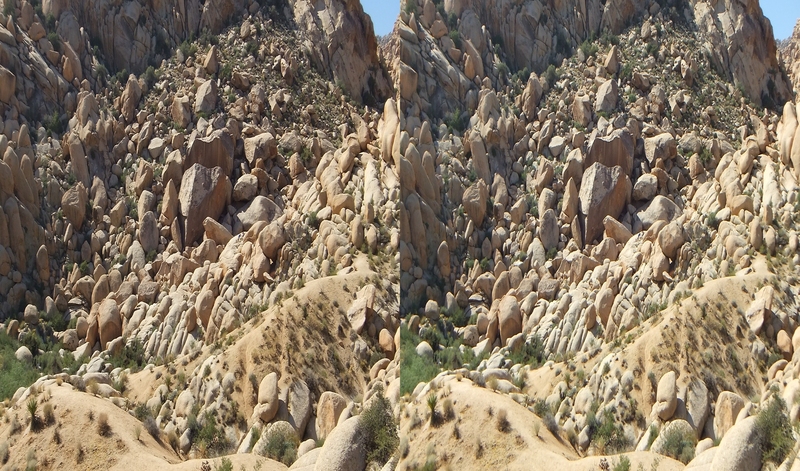 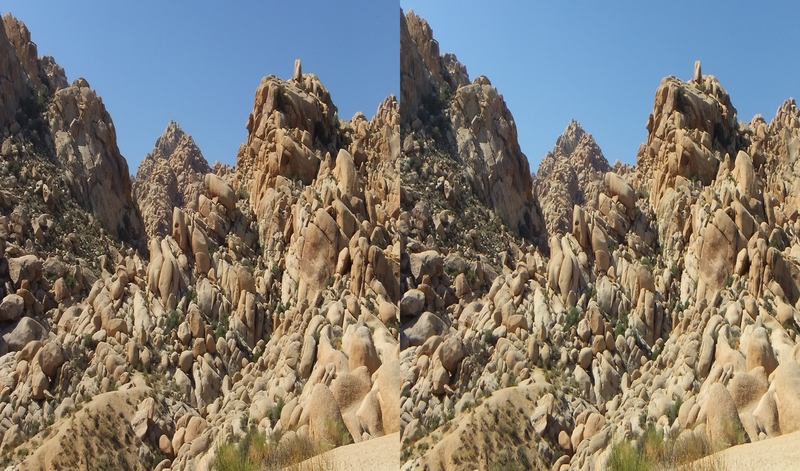 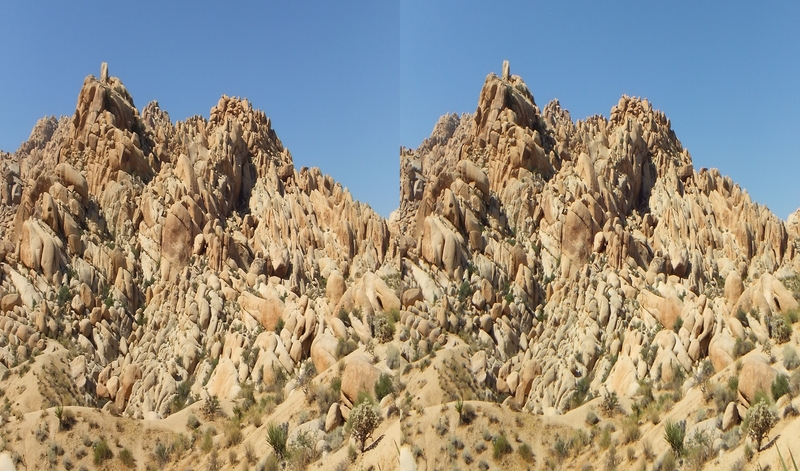 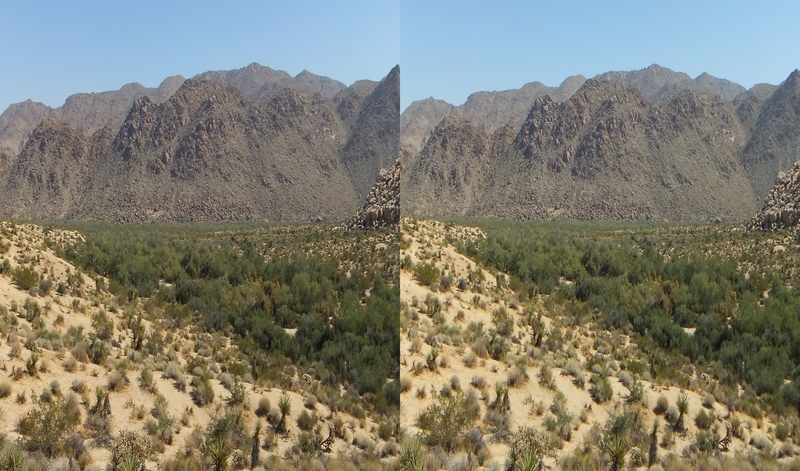 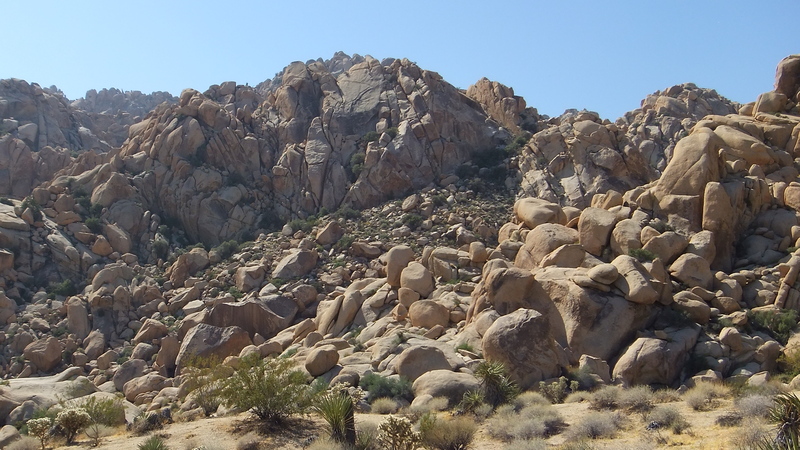 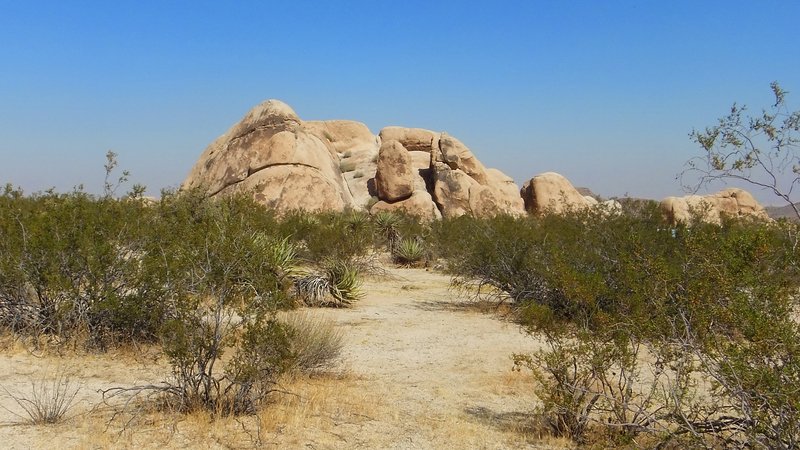 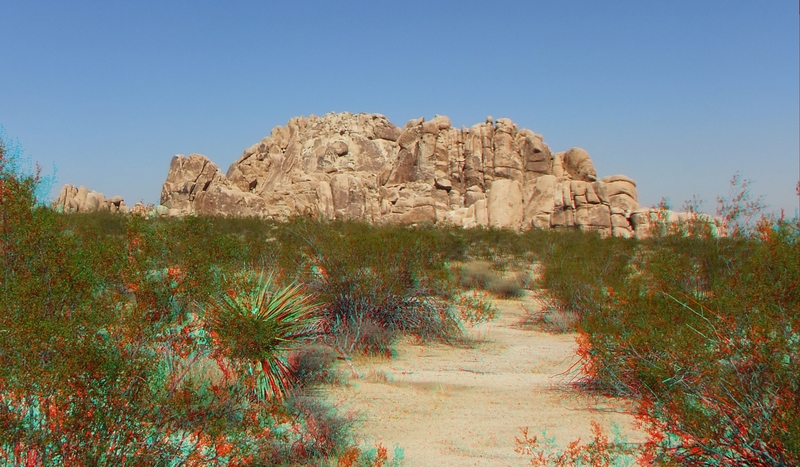 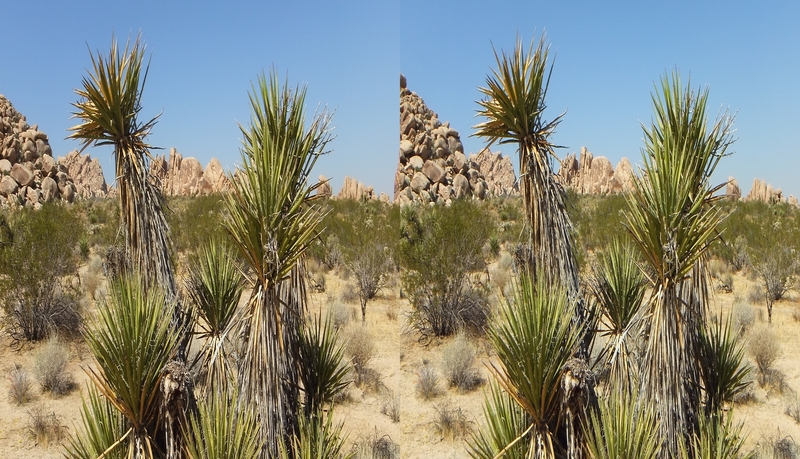 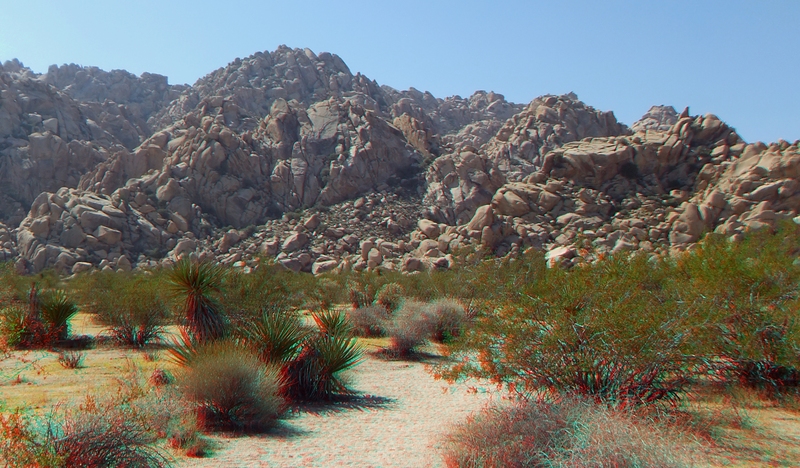 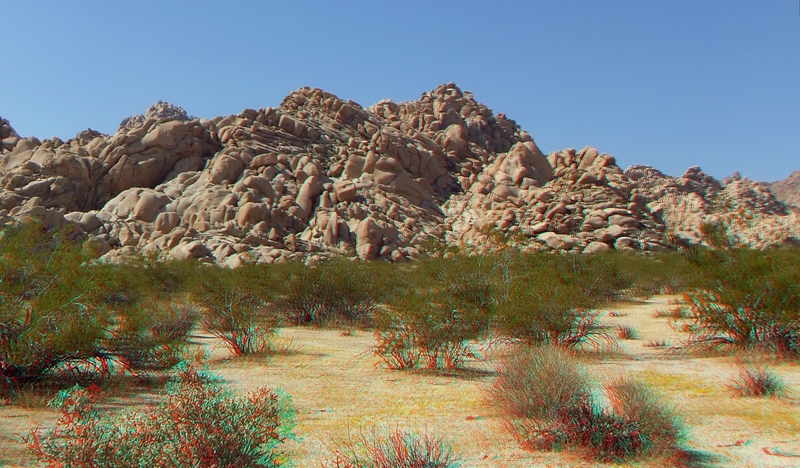 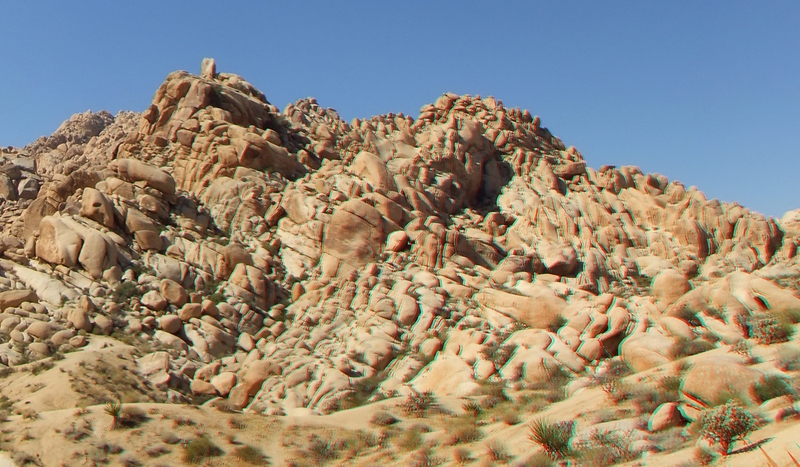 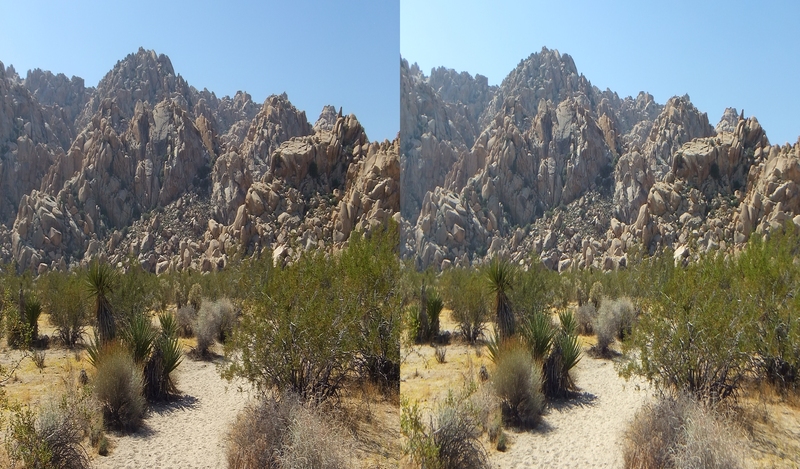 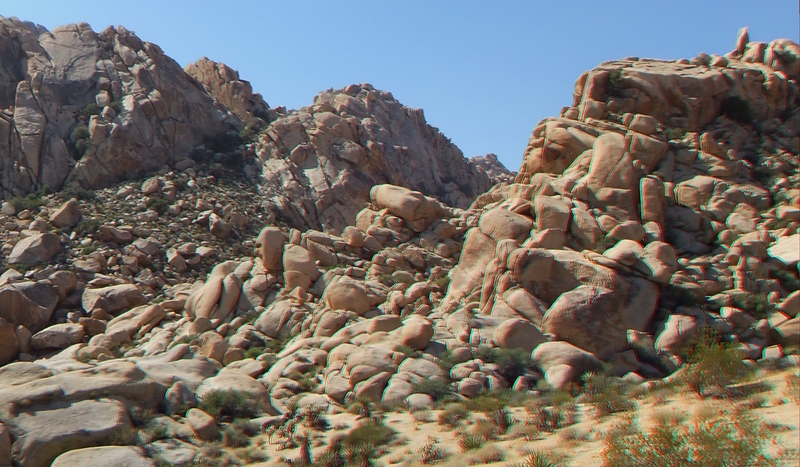 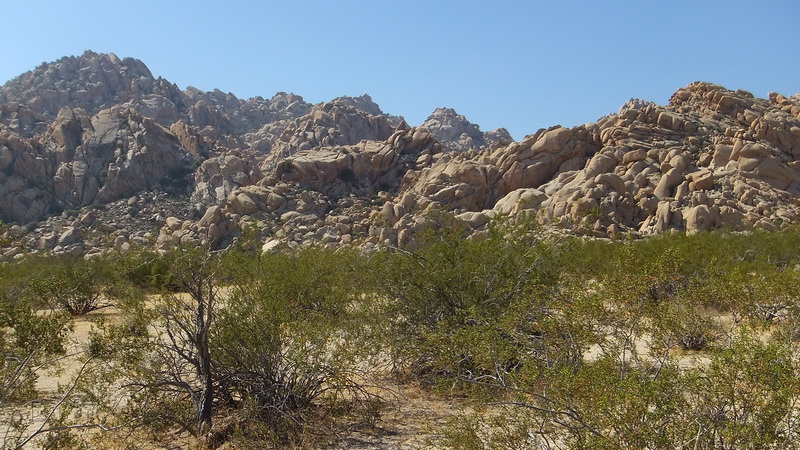 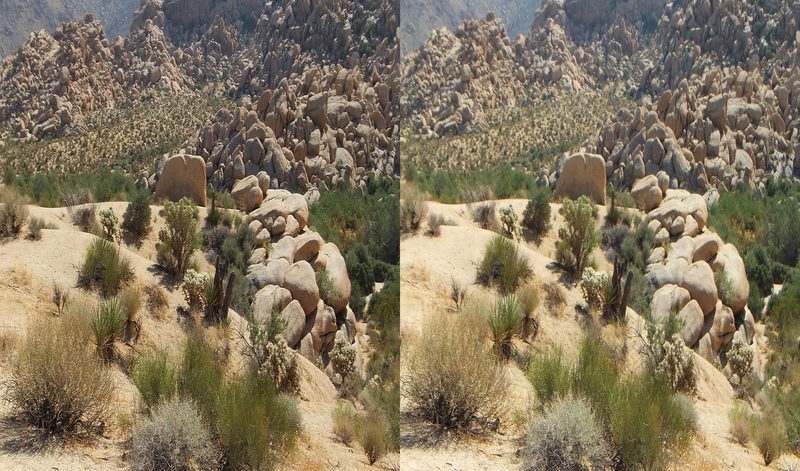 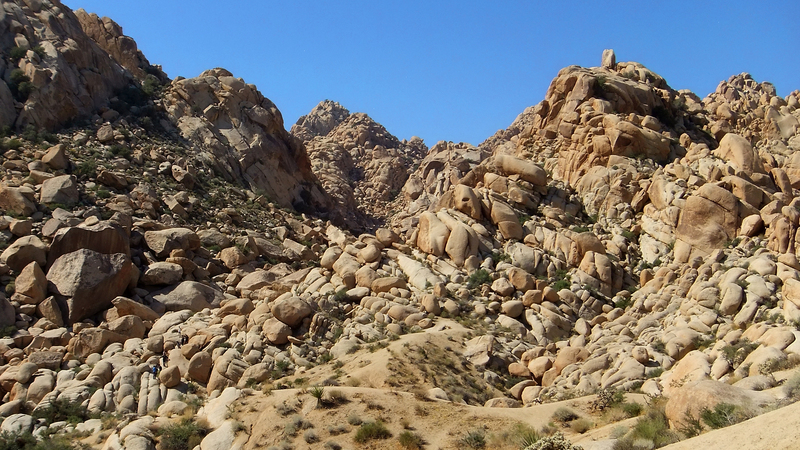 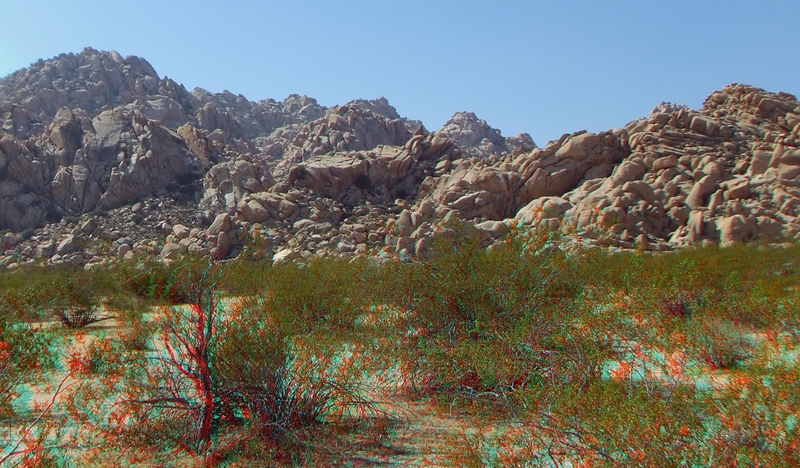 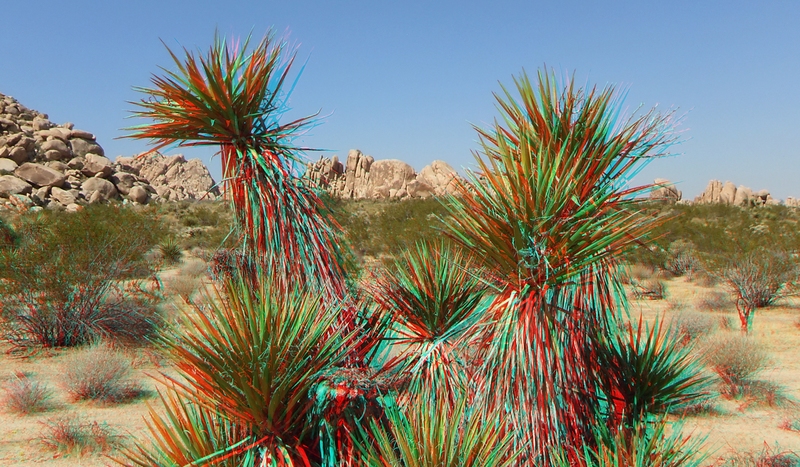 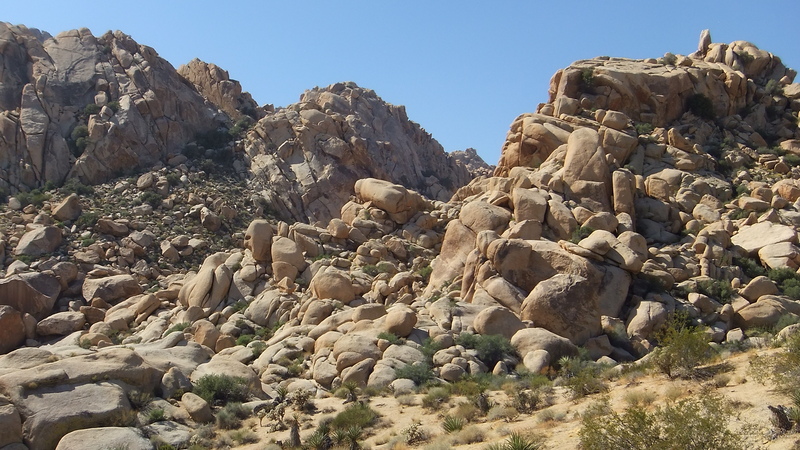 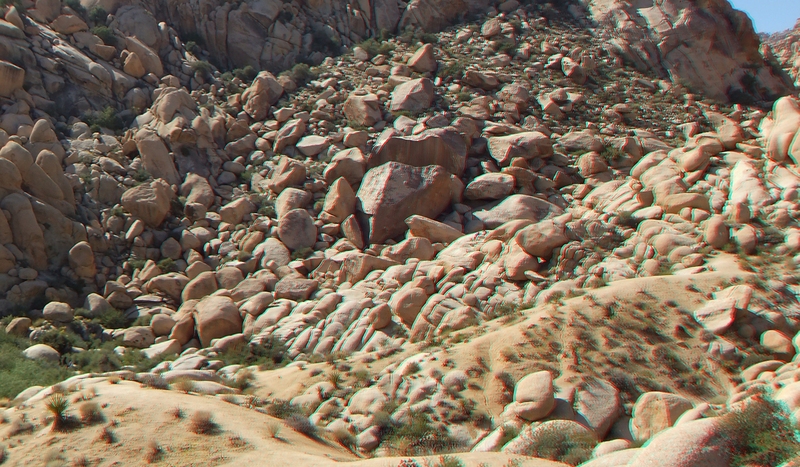 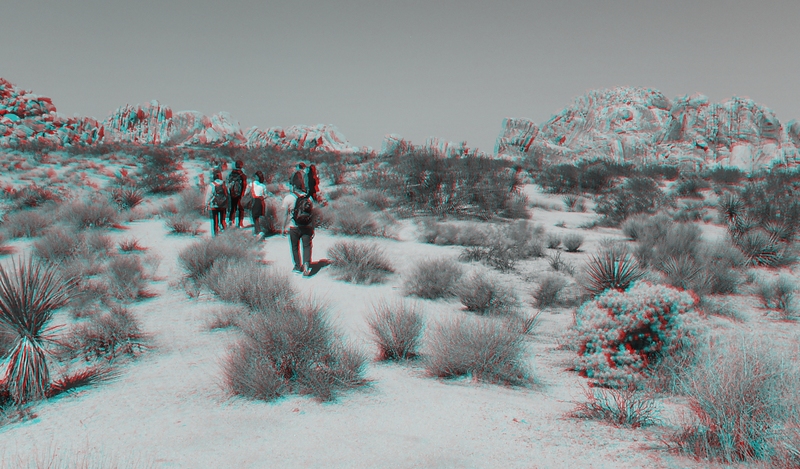 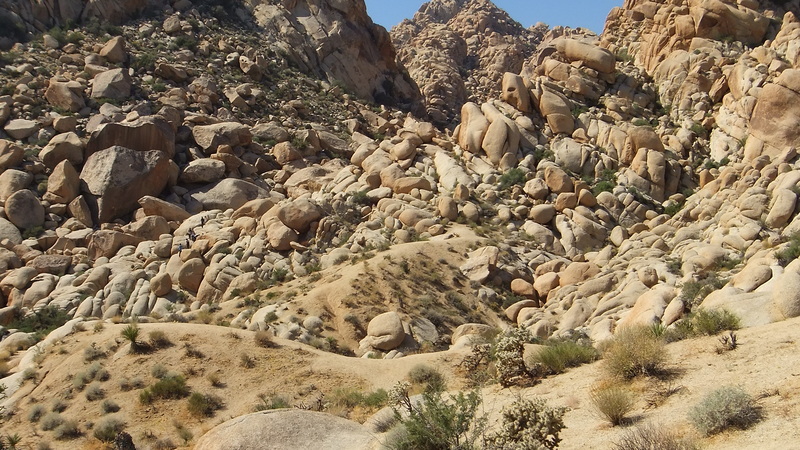 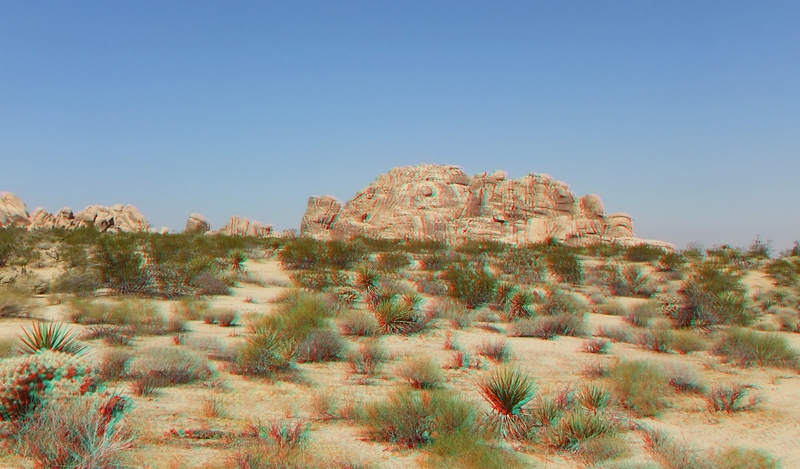 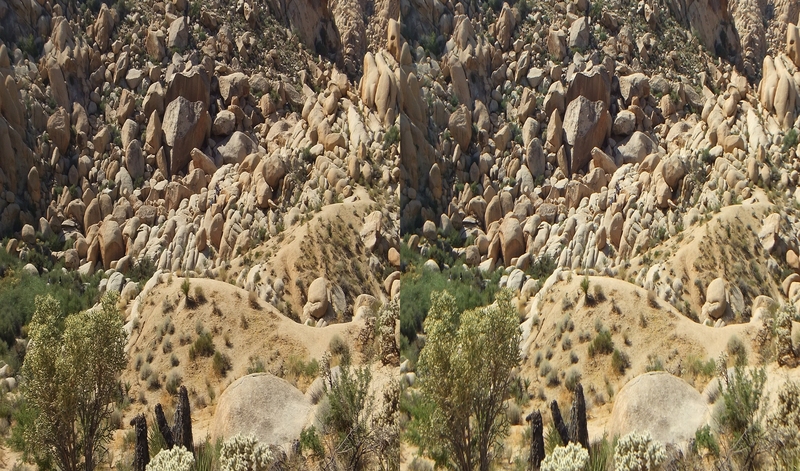 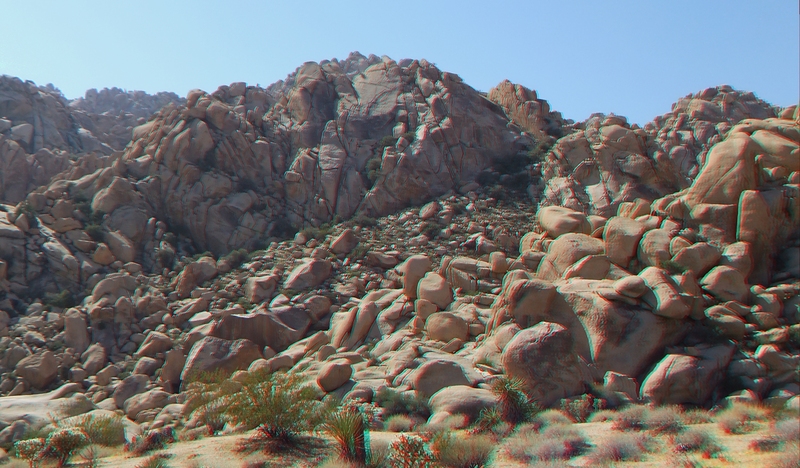 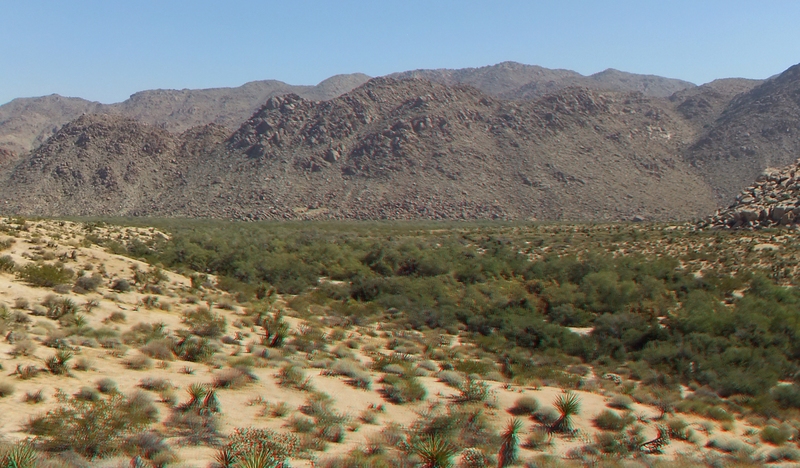 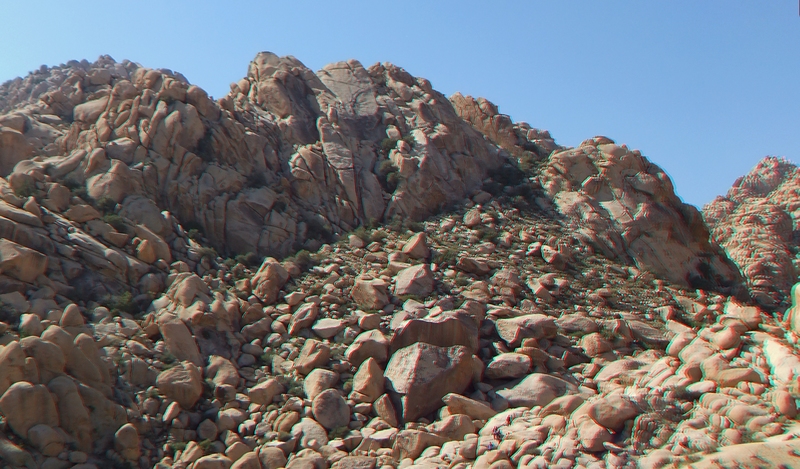 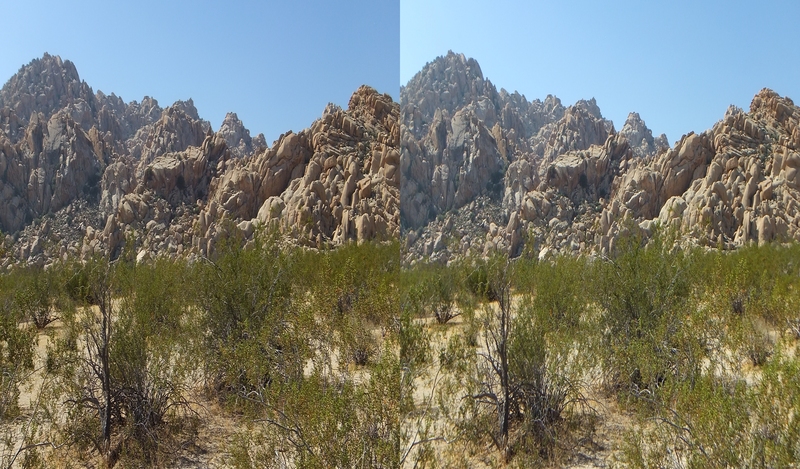 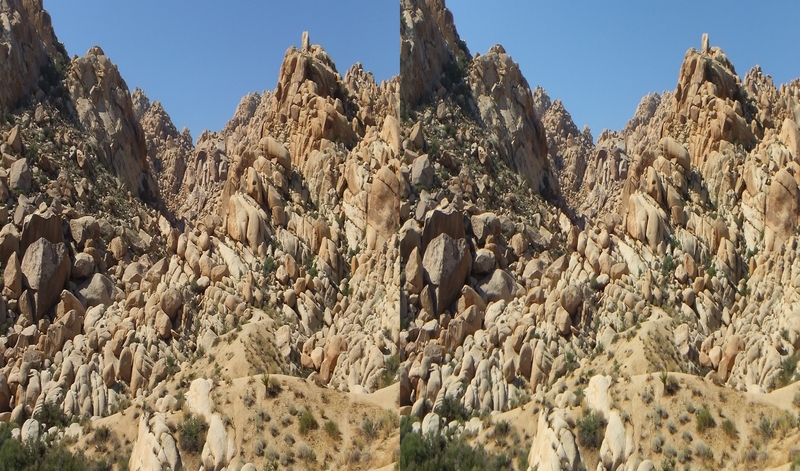 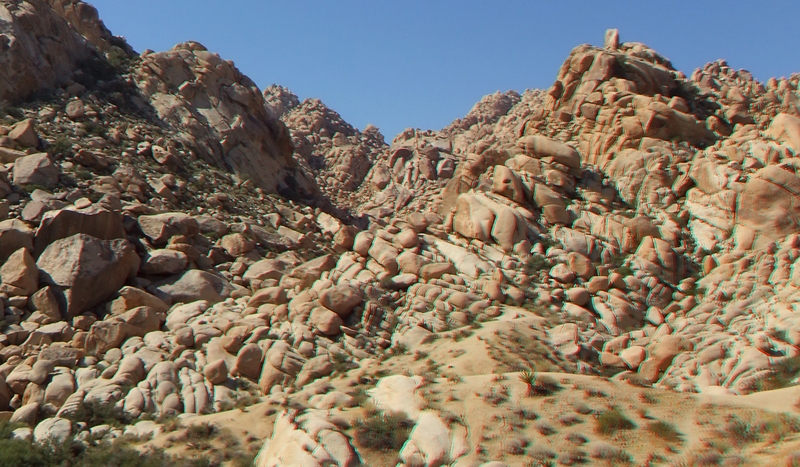 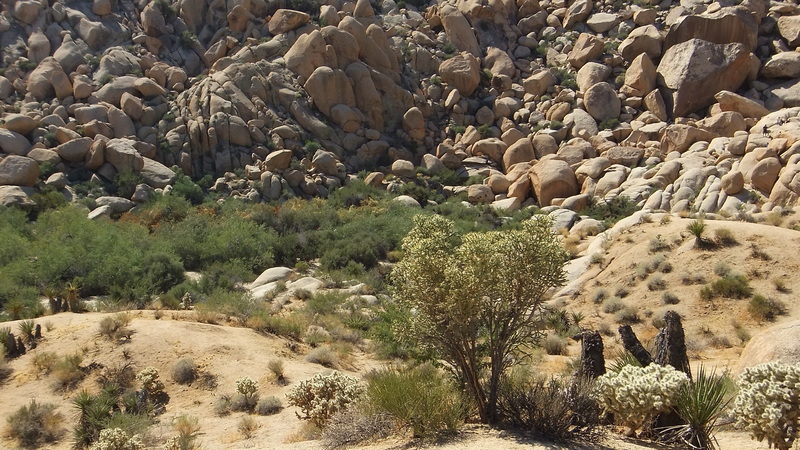 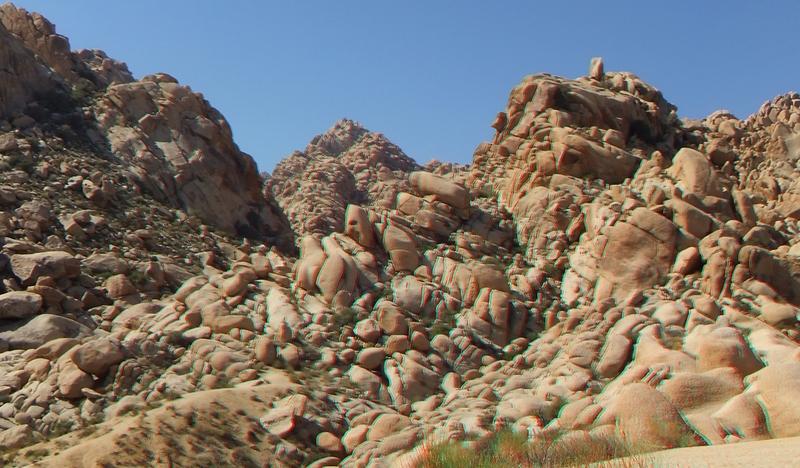 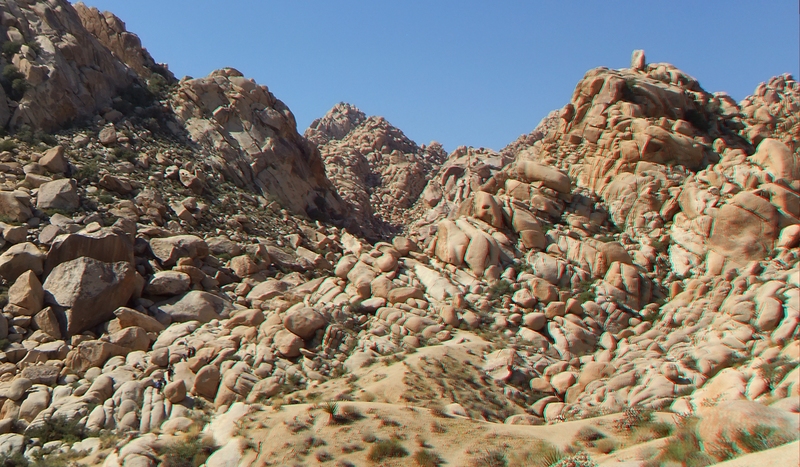 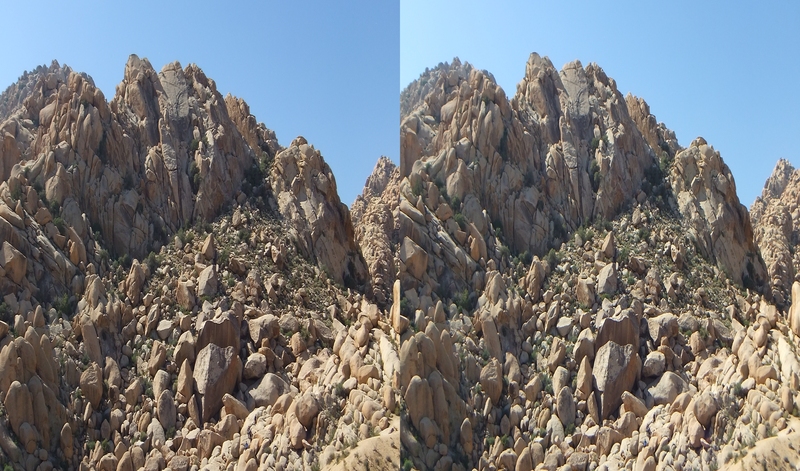 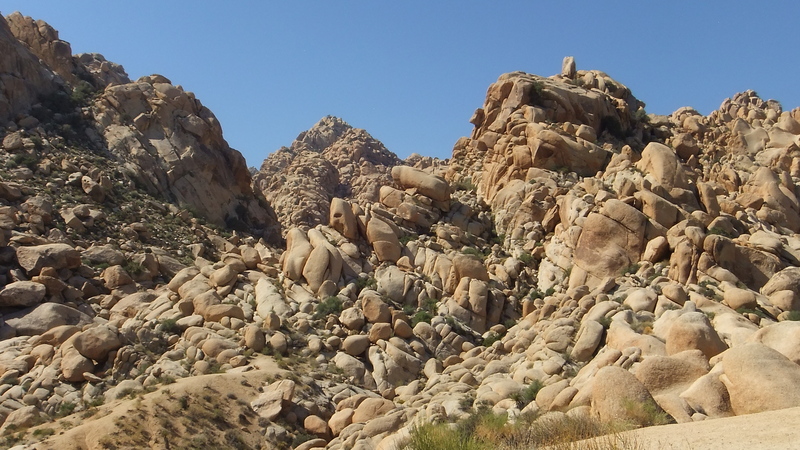 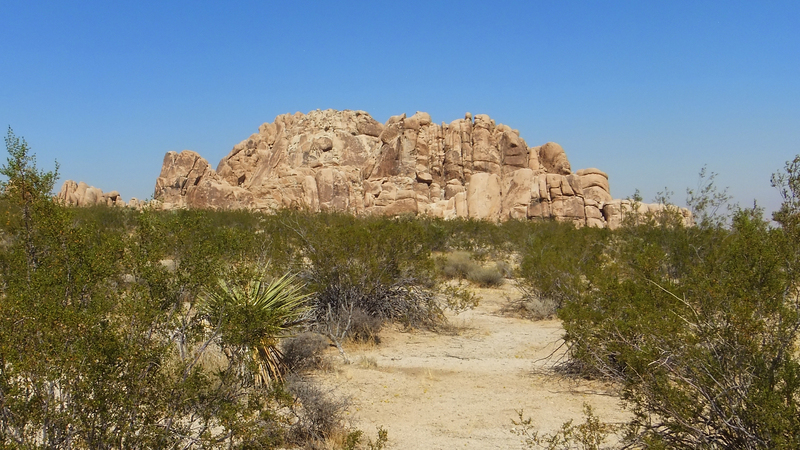 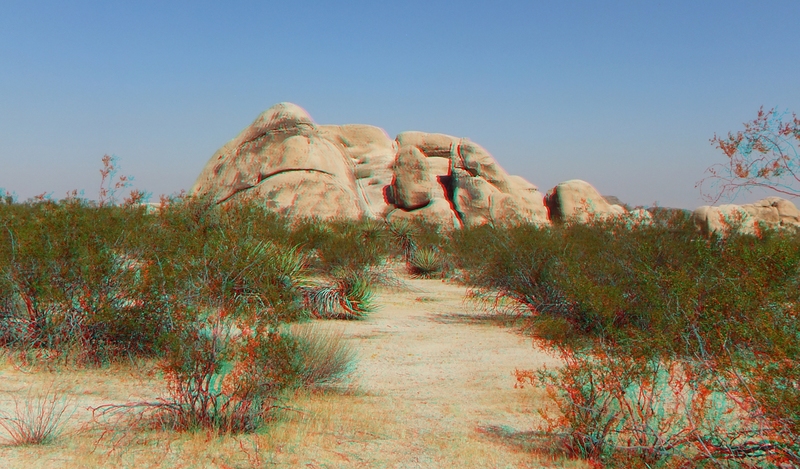 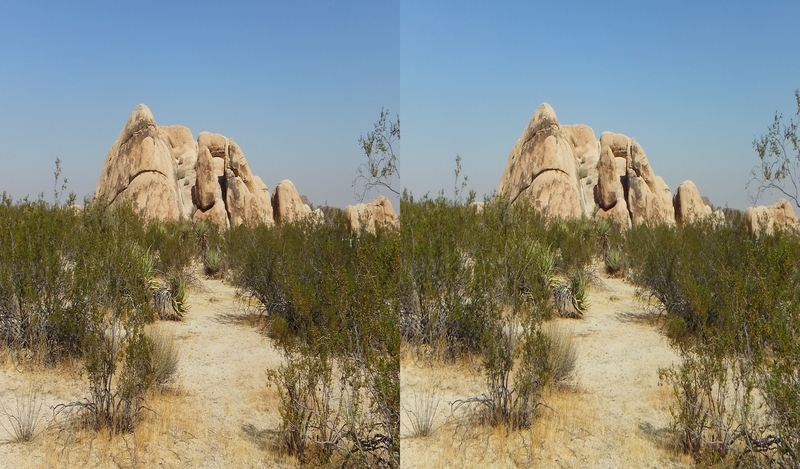 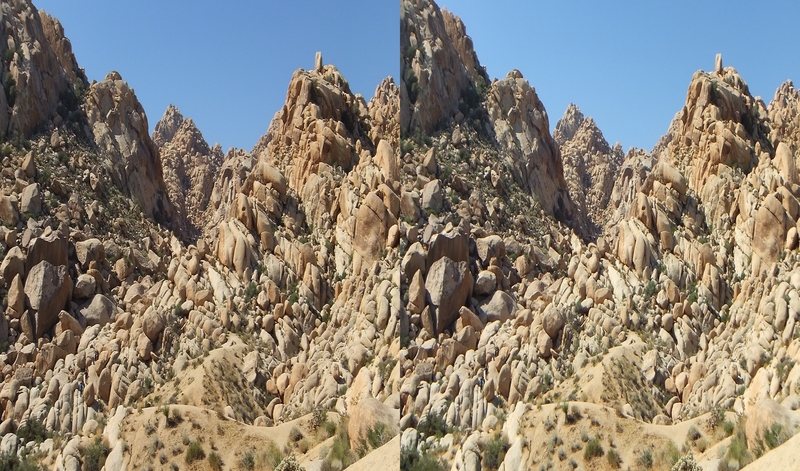 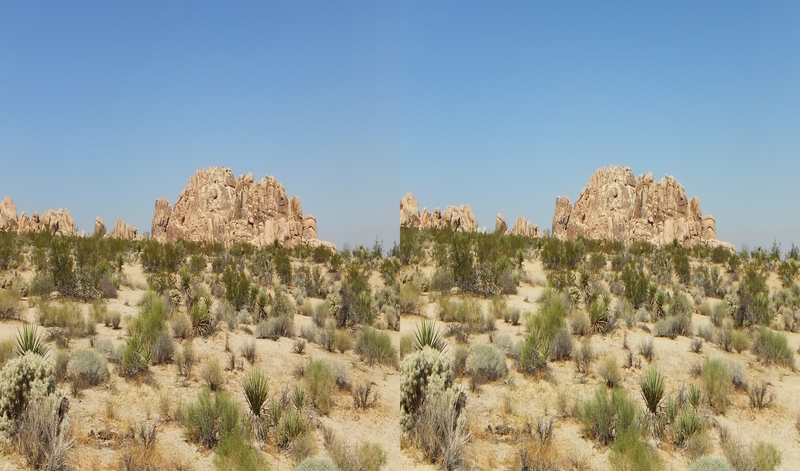 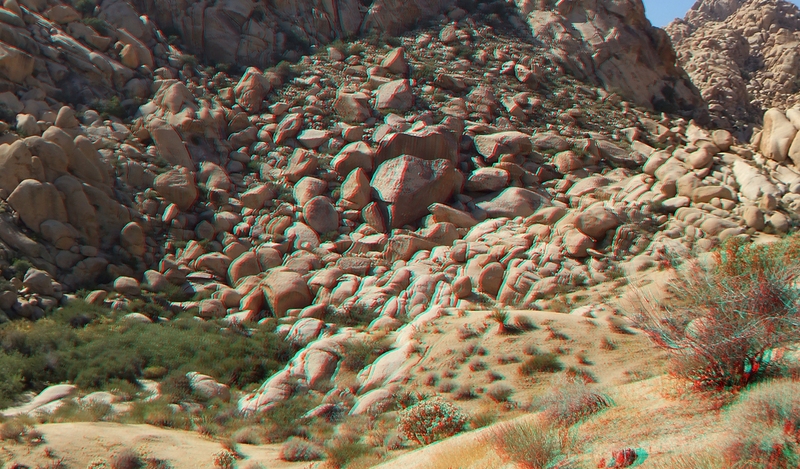 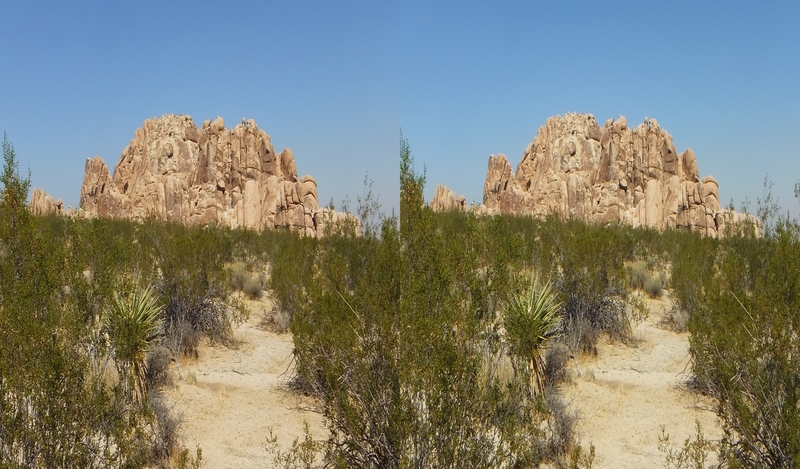 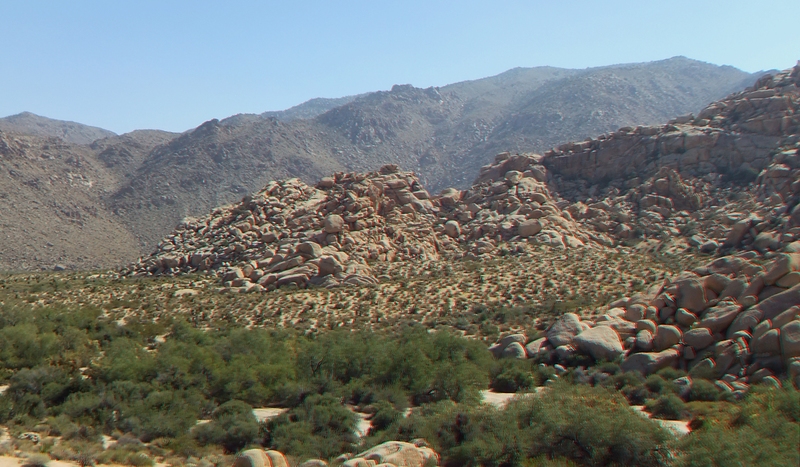 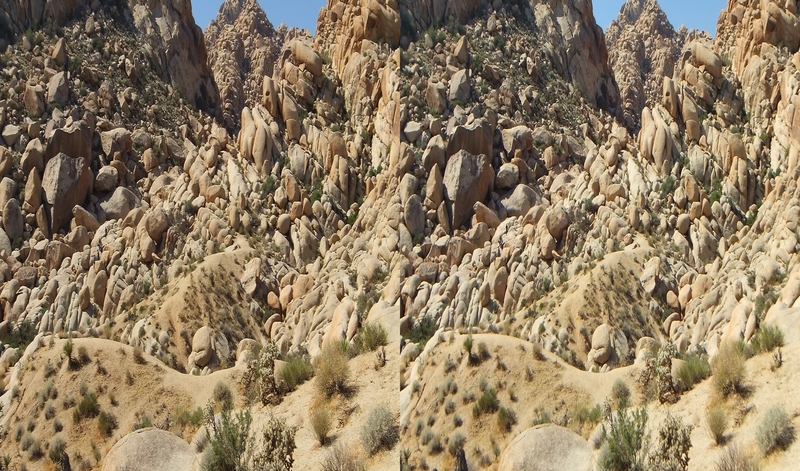 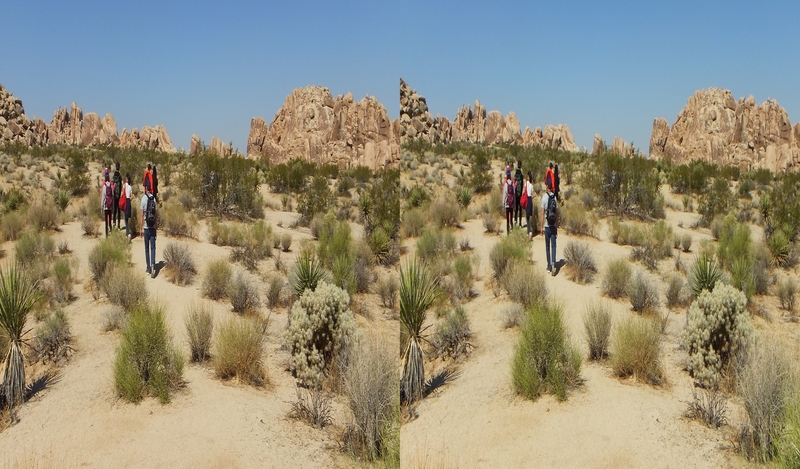 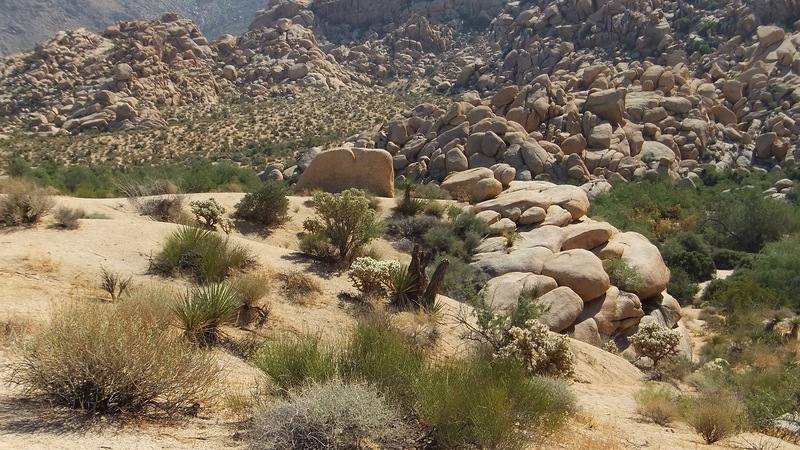 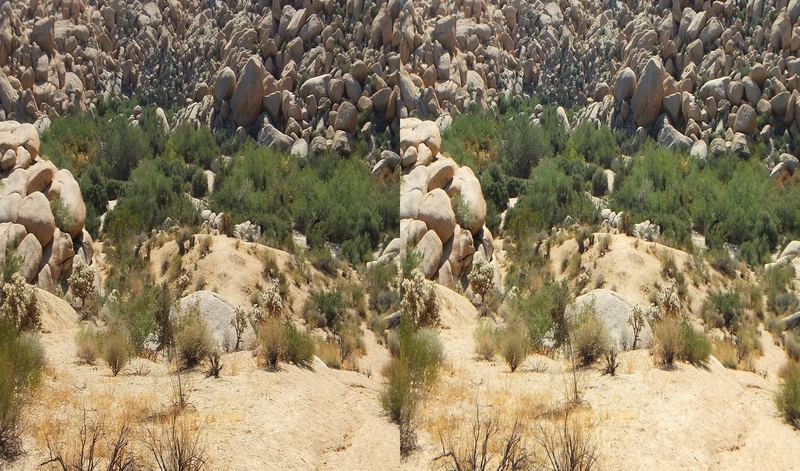 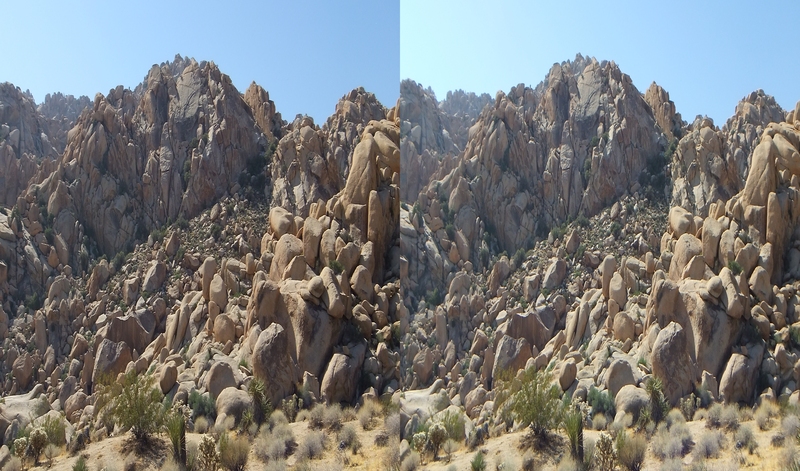 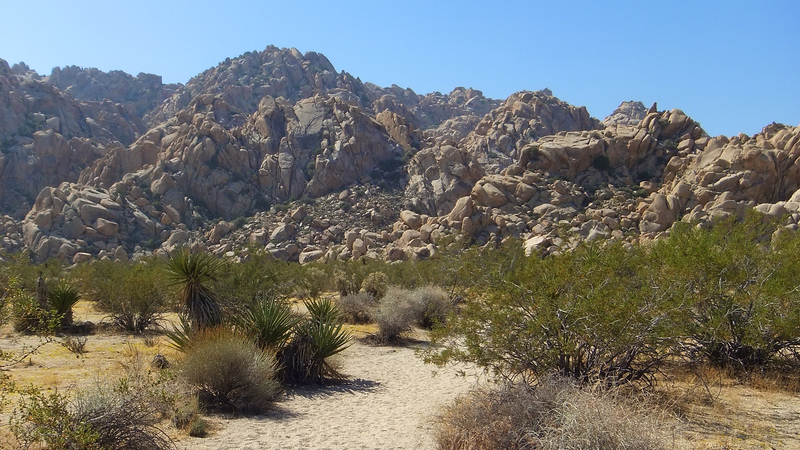 Thank you for visiting the Johnson Canyon 3D Galleries and those for Indian Cove at Joshua Tree 3D.